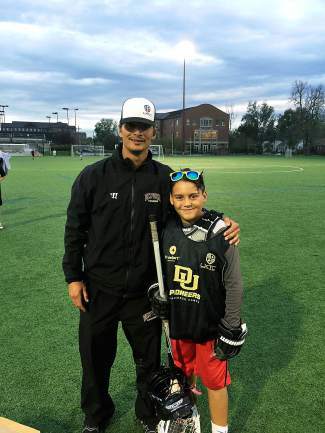 Dominic Veloso would like to thank Trevor Tierney and the entire staff of the national champion Denver University lacrosse program for an amazing four days of camp at DU. I can't wait to attend again next year. Good luck defending your title. Go Pioneers!